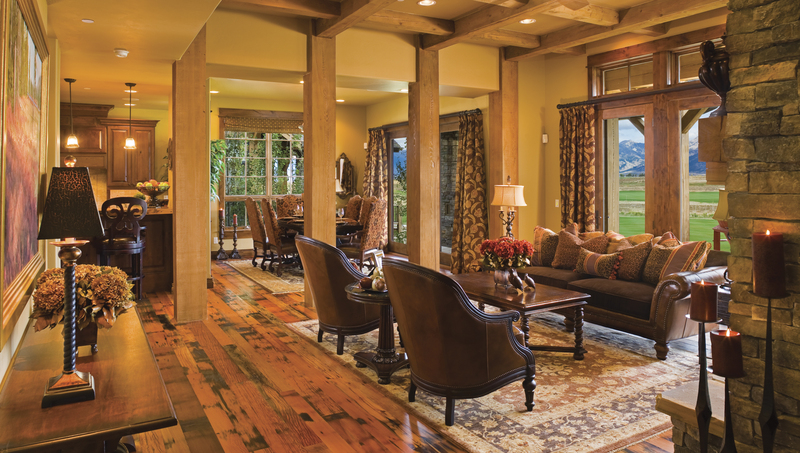 RMR Group, a full-service contracting firm specializing in mountain-style home construction in Big Sky, has developed a unique and successful approach to the business of building. Instead of being a labor-driven company, they choose to focus on client representation and management. Like most contractors, RMR Group handles the details, from acquiring permits, to post-construction services, but instead of employing a division of specialists, Rothacher, relies solely on private contractors for company building projects, which have included everything from custom residences to major commercial developments. Over the course of their 15-year history, RMR Group has completed over $75 million in real estate value for family homes, commercial developments and speculative property development and sales. The company has netted major commercial developments such as a series of log cabins with ski-in-and-out access at Big Sky Resort; a 3,500 square-foot swim and tennis facility at Black Bull Development in Bozeman; a 3,500 square-foot mechanical shop facility for the Montana Department of Transportation and a 30-unit hotel, called The Three Bear Hotel, in West Yellowstone. The company is on-pace to build between 10 and 15 homes this year, Rothacher said, and around 95 to 99 percent of their clients are out-of-state buyers. The company rarely bids on competitive projects. As someone who has worked in the construction industry for 30 years, with 15 years as a general contractor and 15 with RMR Group, Rothacher brings a depth of experience and a strong professional background in management and residential and heavy-timber construction. Along with projects like building maintenance shops, finishing the interior of Andiamo Restaurant, and tearing down gondolas at Big Sky Ski Resort, RMR was also the driving force behind Powder Ridge Cabins, a series of 80 log cabins accessible from the slope that encompassed 750,000 square-feet of high-end residential construction. “It’s a condominium development, with free-standing log homes, but at the same time they have become very personal. Every one has its own thumbprint from the owner,” said Brian Wheeler, the director of real estate and development for Big Sky Resort. Wheeler said that for him, the key to success was that Rothacher was both accessible and a superior craftsman. “He knows the log and timber business, and is the best we’ve ever had, and we’ve been around since the ‘70s,” said Wheeler, who also hired RMR to build a lake home for him in Traverse City, Michigan. Steve Barrett, an attorney representing Big Sky Resort for more than 30 years, said he was impressed with Rothacher’s “approach, skill set and artistic sense” after he hired RMR Group to build a private log cabin for him at Big Sky. 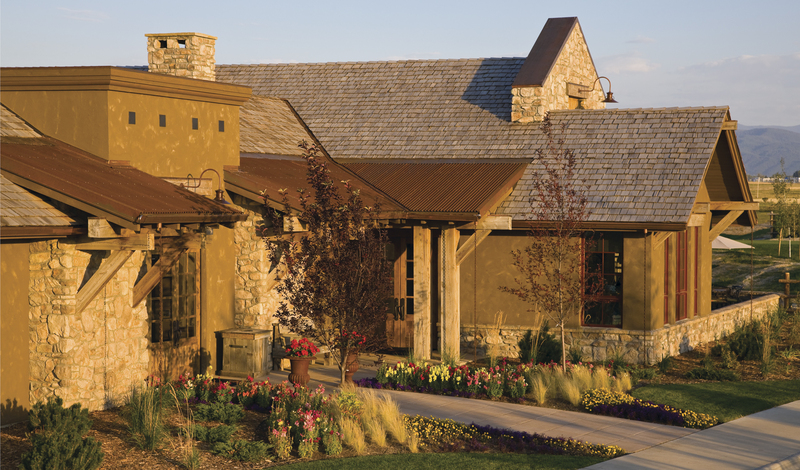 As a result of the positive experience that Barrett had, RMR Group was retained to build three, $1 million homes and a $4 million fitness and swimming complex at Black Bull Development, a golf course community with 400 lots located in Bozeman, that Barrett consulted on. Each project was carried out with the same exacting detail and with great communication, said Barrett. Rob Schumacher, owner of Schumacher Interests, Inc., a real estate and development firm with holdings in eight states, purchased Black Bull in April 2011. “We’re really cautions about construction and things can get out of control pretty easily before you realize there is a problem. … All of the projects he’s done for us have come in on time or earlier and are honorable to the budget,” Schumacher said.